This condition was so much different when we, a small pioneer group in charge of carrying tents, supplies and logistics, set off through the same path in the morning. Although carrying a heavy load, the morning trip was much easier and we were also lucky to have a very friendly weather during the trek. We stopped several times to rest, enjoy the beauty of the Valley of Lakes (Meren = Lakes in Dutch) while taking pictures here and there. It was very rare, sun shining and nice weather like this, as the towering rock walls that guard the valley was clearly visible. The scenery that made us even more impressed, awed by the natural beauty of Papua..
Breathtaking scenery at Meren Valley..
Our target this time is Ngga Pulu, one of the peaks at the Sudirman Range or also known as Nassau Range. One of only few areas in this mountains that are still covered with ice and snow all year round. 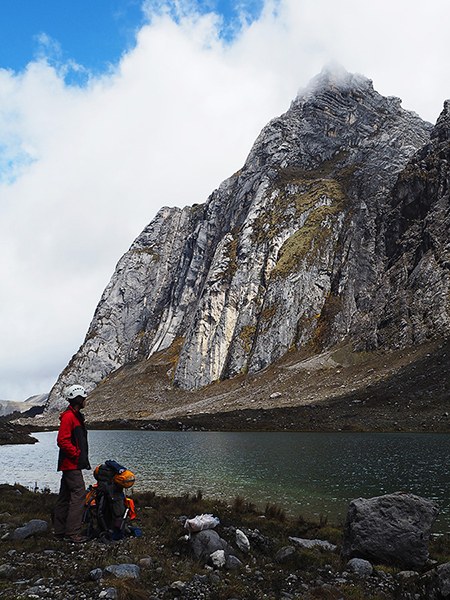 Located at an altitude of 4,862m above sea level, Ngga Pulu can be reached from basecamp via two different paths. We named them the short track and long track, merely based on the distance that must be taken if we trek through these pathways. The short track is steep and more difficult, while the long track is much easier and also offers superb landscape views. For us who like to take pictures, of course, the long track is the choice.. 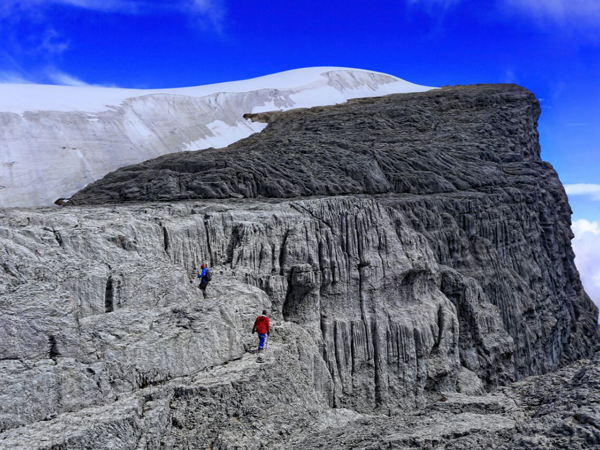 The pioneer team reached the basecamp just before noon. We immediately set up a tent, prepared lunch for ourselves and then surveyed around the basecamp. Late in the afternoon, light rain began to fall. And the hail followed short after. But after sunset, the sky brightened. We can see the stars scattered from one end of the sky to the other. Sitting around the campfire, we enjoyed dinner and spent time chatting just about anything. Every one hour, we also take chance to check the preparation of the main team that will set off just before midnight via communication radio. 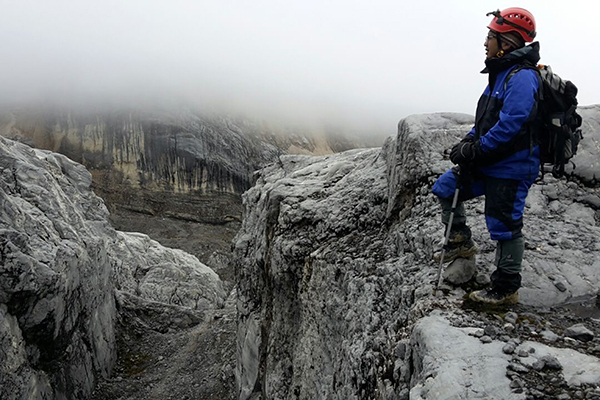 Carstensz Basecamp, 4,330m above sea level..
And suddenly, the weather change. The wind is getting increasingly strong. Temperatures also dropped significantly. The hail began to fall again. We all decided to sneak in and take shelter in the tent. And just about at the same time, the main large team started out on foot from Bali Dump heading to basecamp..
Before dawn, three people leading the large group arrived at basecamp. They are followed gradually by the other team members. Some of them look exhausted and had to immediately take shelter and rest in the tent. No wonder, the wind is still blowing strong, and the temperature remains below zero. The next problem: we did not bring enough tents for all team members. The initial plan was, the tents were only for a brief rest before continue the trip towards Ngga Pulu. We did not take into account the possibility of bad weather that could bring many team members down, need a longer break and may not even continue to proceed to Ngga Pulu. Lesson learned: never discount the factor of mother nature! Consequently, some of the team members have to take rest outside, with the wind continues to hit and temperature is still below zero. Not comfortable at all. After a brief break and the dawn prayer, ten people decide to start moving again and proceed towards Ngga Pulu through the short track instead. The remaining ten men remain at basecamp, including few of those whose condition is not too good. When you start moving, your body becomes warmer. That’s the aim of the ten men proceeding to Ngga Pulu. And also we no longer have to scramble for space inside the tent. The weather is still unfriendly. I myself chose to stay at basecamp, as I do not see the weather will be better soon. For me it’s useless to continue to proceed in such condition, because my goal is to take pictures..
As the sun climbs higher, so does the temperature. Basecamp is getting warmer. But the wind remains strong & chilly, bringing fog that comes and goes quickly. We continue to monitor the movement of the team that proceeds closer to Ngga Pulu through radio communication.. Shortly before noon, good news breaks through from the team. They have reached the target at the edge of the glacier and will soon be moving down. Basecamp is getting busy, preparing hot drinks and food for the descending team..
We learned our lesson. Next time will be better..